Due to the information revolution, marketing strategies are rapidly changing. What was in trend a couple of months ago, now is passé. With that along, ways of using the same marketing tools are constantly changing. Just a couple of years ago financial investment in commercials was at its peak – millions were invested in advertisement videos. Nobody could predict that social media would become so crucial in the marketing world. it is not easy to keep up with all the trends that are going viral. 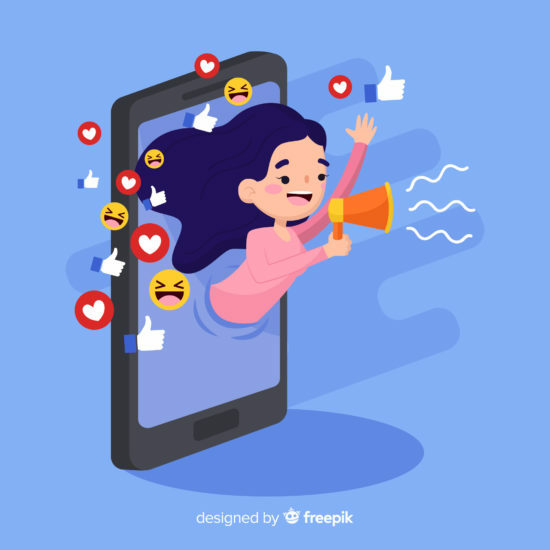 Here are the most creative ways in which you should use social media if you want your business to keep up with hot trends. This is a great way of gaining new followers and exposing yourself to a different audience. The only point of partnering with another brand is to choose not a competitor, but a brand with only a slightly different target audience. That way both parties will widen the audience and benefit from the collab. The pressure of constantly creating good quality content for your social media and website can be a nightmare. Why on earth then you would not use and share the content your followers and fans are literally providing you with. You can make different Instagram campaigns asking your audience to engage and post a photo with certain hashtags. It can be anything from asking a simple question, to selfie with your brand’s product. Also, keep in mind that people will always believe more in your brand’s service if they see other people besides you enjoying it as well. Did anyone ever say no to free stuff? People love getting things for free. Giveaways and contests are a great way of getting new followers and UGC that you then share on your social media. Conditions of contests and giveaways are usually consisted of liking or following your account, and maybe posting a picture or writing a comment on a certain subject. Either way. it is a fun way of engaging your audience with your brand. Unlike before, when you only had to think about selling the product, now you have to think about sharing ideas, lifestyles, and humor with your audience. That is why it is super important to stay on track about trending topics and state your opinion here and there. Before you do that, you should be aware of a couple of things. First is that you have to completely understand the trend, and why people are buzzing about it. And second, make sure that it is relevant to your service/product in some, at least vague way. Adding something valuable to the topic will bring you more integrity, and respect from your audience. Plus you will earn some new ones as well. Keep in mind that keeping up with all the different trends and topics is a full-time job. If you want to do it right. It was never a better time to outsource this task to professional managers of social media, than today. Having an advantage of being a remote job, you can even choose experienced social media agency based in Sydney. Location does not matter. There is no better way of your audience getting to know your brand in depth, than by letting them see who is behind your products and posts. It is a more intimate strategy that builds trust and creates deeper, more personal relationships with your users. It helps them see your team and working environment in the right spotlight. You can share photos of your team working, having a break, team building… Or even short videos including funny moments with your coworkers. Good How-to video has never been left unshared. These videos are very eye-catchy, as they are visually appealing and the audience can learn something new from them. Most shareable contents are usually regarding crafts, hacks, and cooking. Try to find a topic that is in some connection to your product or service and that will at the same time be attractive to the audience. It will help you grow your followers and build trust in the knowledge that stands behind your brand. This is another creative strategy of using your social media. Basically, you are collaborating with a relevant influencer and letting them post on your behalf on social media for a certain period of time. This creative strategy brings your brand a fresh perspective and adds new faces to your followers. People are identifying with other people much easier than they do with brands. Allowing this takeover, influencer’s audience will be exposed to your brand, and vice-versa. If you have not already, start implementing these social media marketing strategies. Invest your time in searching for the most effective marketing strategies, and make sure to keep up with the newest social media marketing trends.